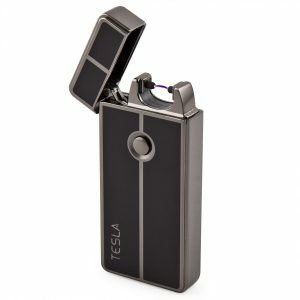 When you push the ignition, an electric current flows between four strategically placed nodes. 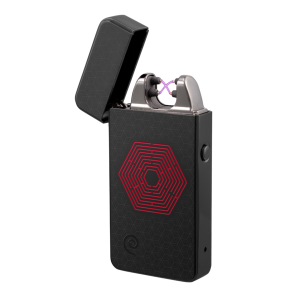 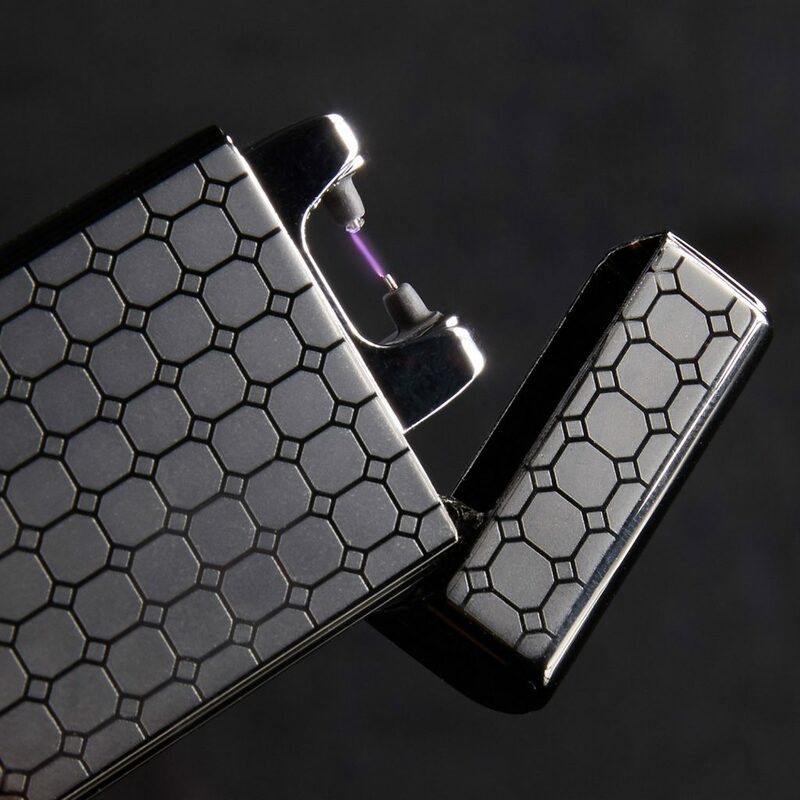 Air between the nodes is ionized, producing our iconic purple X, and giving you 900 degrees of heat. 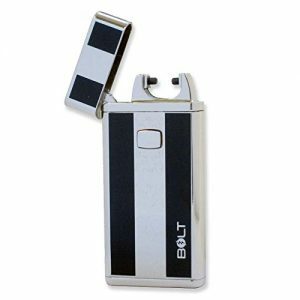 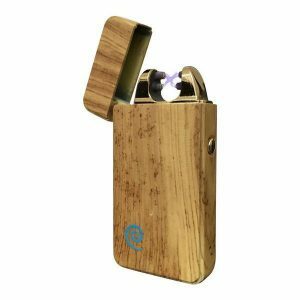 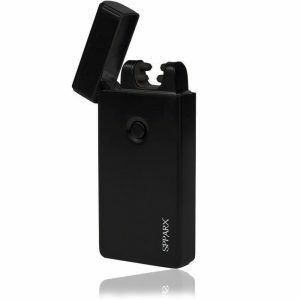 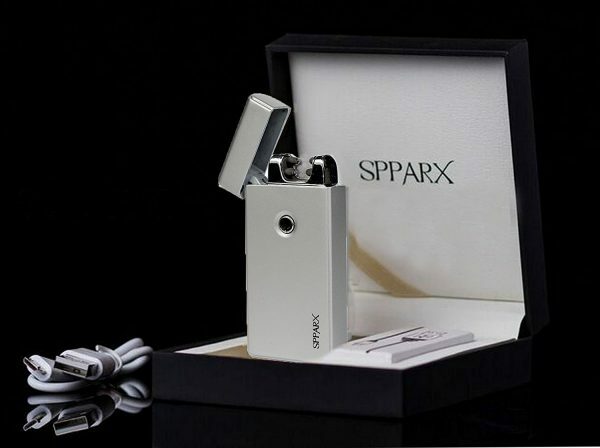 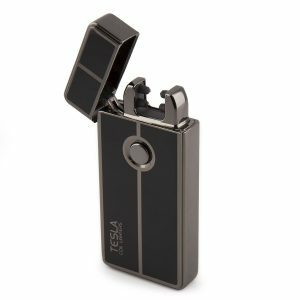 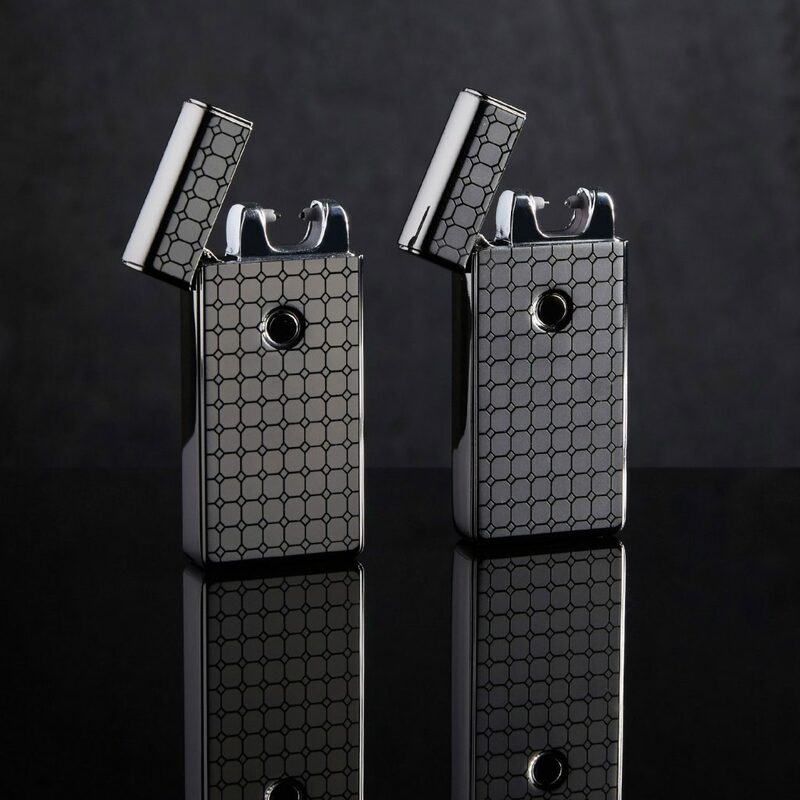 Electric arc lighters light almost anything.